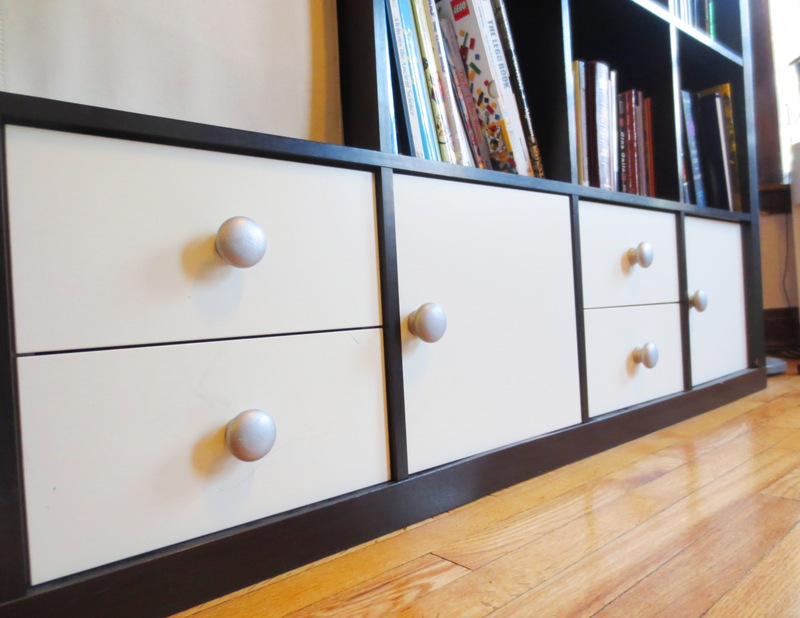 This One Weird Trick Will Make Your EXPEDIT Less IKEA-looking! 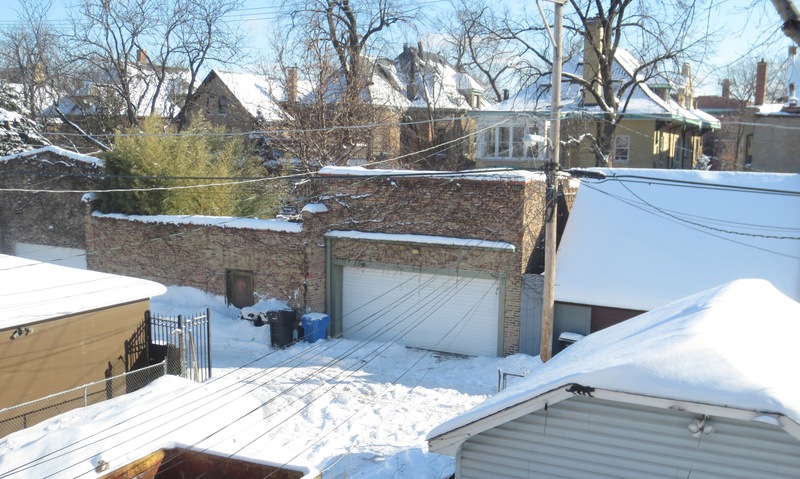 OK, one quick complaint: For the last two months, the usually bountiful alleys of Chicago have been hibernating under a foot of snow and ice. Actual picture out my back window today. Note the conspicuous lack of treasures. Fortunately, this past summer and fall – perhaps sensing the oncoming freeze – I’ve fattened myself up on scavenged coffee tables, foam, ottomans and door art. But remember that scavenging in the alley isn’t just about dragging home the big-ticket items. 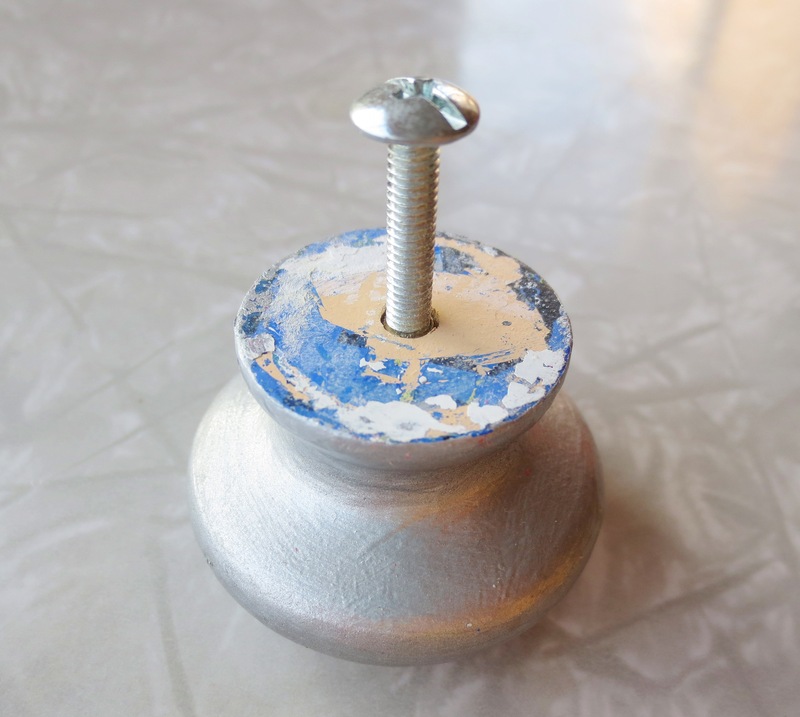 It’s about picking the useful bits of hardware off of the hopelessly irreparable home goods: the wooden legs off a soiled couch, the casters off of busted kitchen cart, the drawer pulls off of a warped particleboard dresser. Generally, I don’t believe in aspirational hoarding. * I’ve got three kids and a husband with rather complicated hobbies; there’s just no space for it . Our pantry, dedicated to complicated hobbies. Note the absence of actual food. 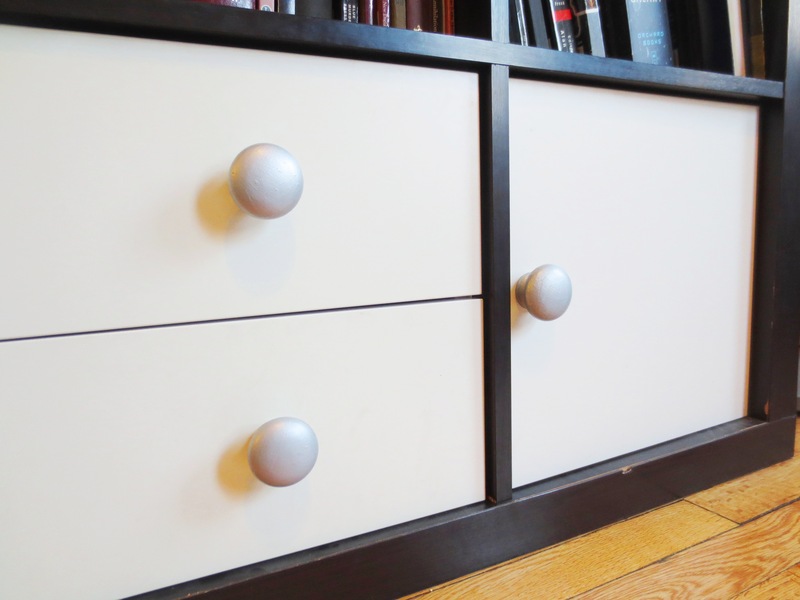 But, there’s always room for drawer pulls. Yesterday I was stretching on the floor of the living room. Stretching is a necessary but boring activity that usually results in me noticing something I don’t like about my living room. 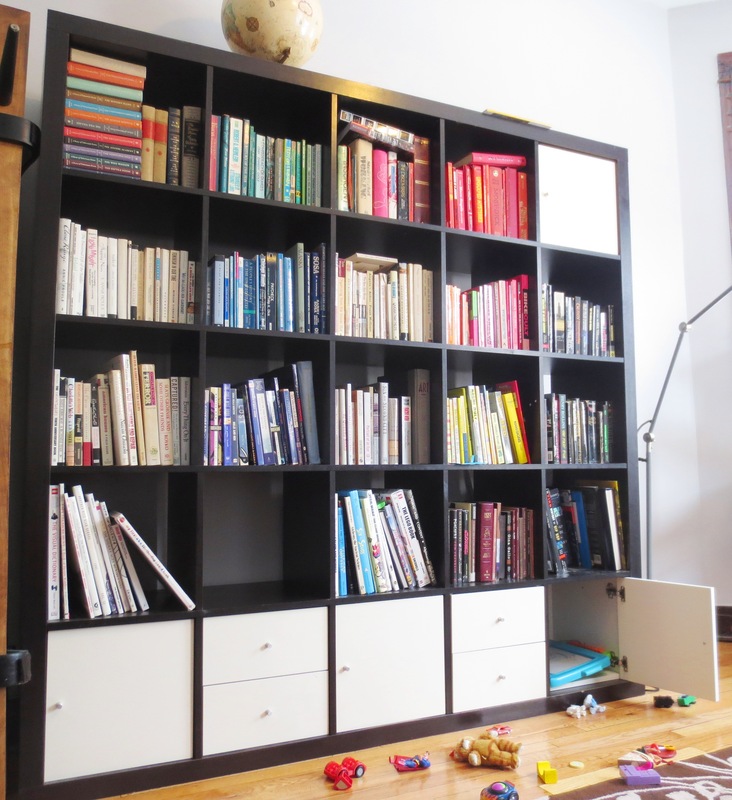 This time, I was struck by how “IKEA-looking” our EXPEDIT shelving unit looked. 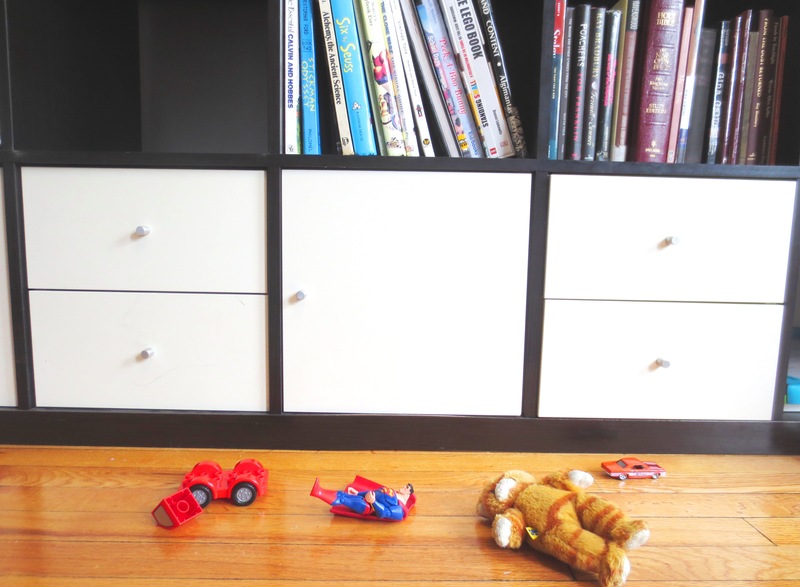 I’ve managed to replace most of the most “IKEA-looking” wares in our house with lovingly-restored vintage items from Craigslist or the Thrift store. But this shelf will be with us for a while, because there’s no where else to put the books and toys, and also I’m not sure how to get this beast out of the house. 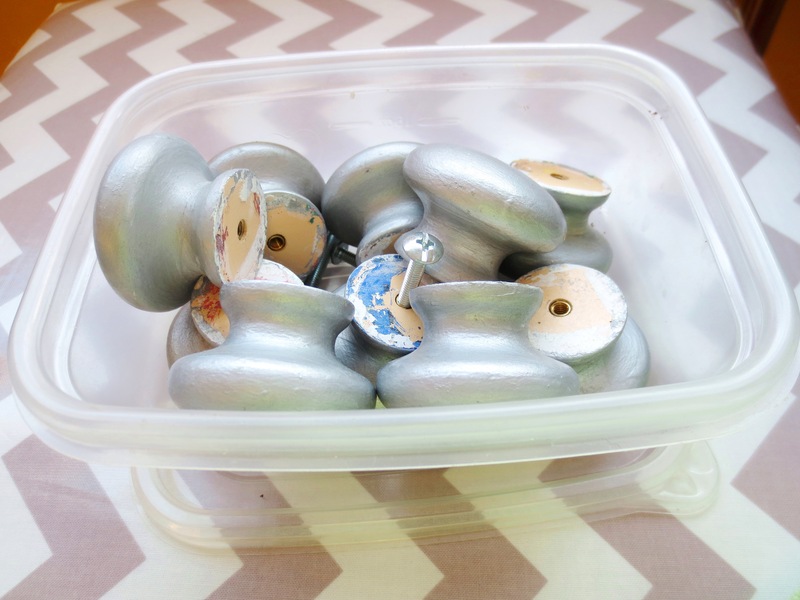 They were wooden, originally painted white… then blue… then silver. And the screws were just the right size. 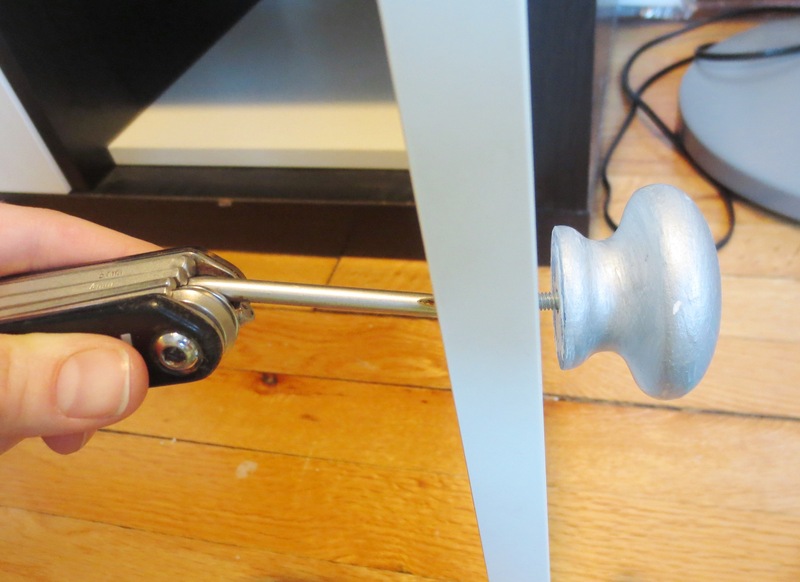 PRO-TIP: When scavenging drawer pulls, always take both the knob AND the screws. STEP ONE: Remove the old pulls from your doors and drawers. 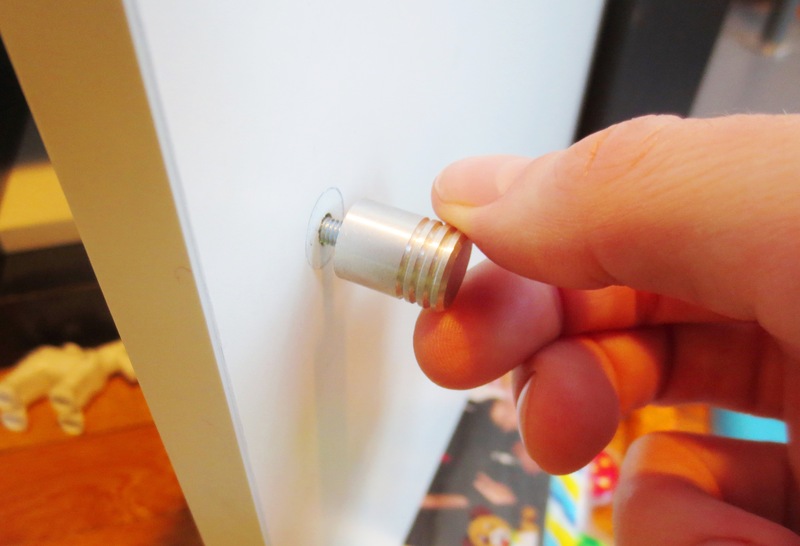 Keep the screws and pulls together when storing. STEP TWO: Screw in the new pulls. This step may or may not involve a screwdriver. STEP THREE: Just kidding. You’re done. 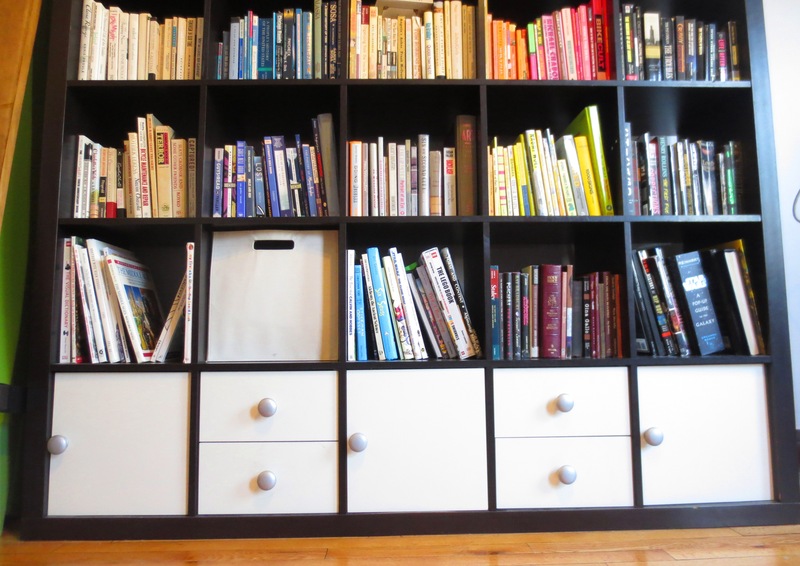 Lay down on your living room rug and admire your slightly more charming EXPEDIT bookshelf. 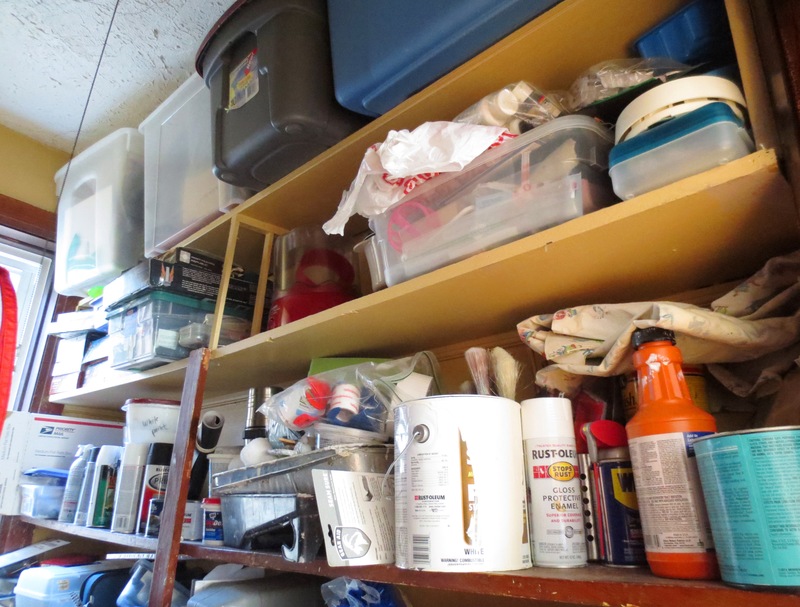 * Aspirational hoarding: Collecting stuff that you have no use for in the present, but “might” need sometime in the future. This activity is strongly discouraged. After 7 house renovations, I can tell you it works with dreadful kitchens and bathrooms too. The first thing I do is replace the handles, and if that doesn’t do the trick (taking it from dreadful to merely a bit nasty), I do the rest with laminate paint. That’s exactly what we did in our rental apartment when we moved in two years ago. The kitchen cabinets were new, but had these broze/copper flower-shaped cabinet pulls that made the whole room feel very country-precious. Switched them out for plain round chrome pulls and suddenly it felt very modern. Sometimes it’s the little things…. Yes! That’s exactly what we did when we first bought our house. I remember pitching $70 in drawer pulls to my housemates as an “inspirational first home improvement project” to get us through hours and hours of wallpaper removal. Totally worked.